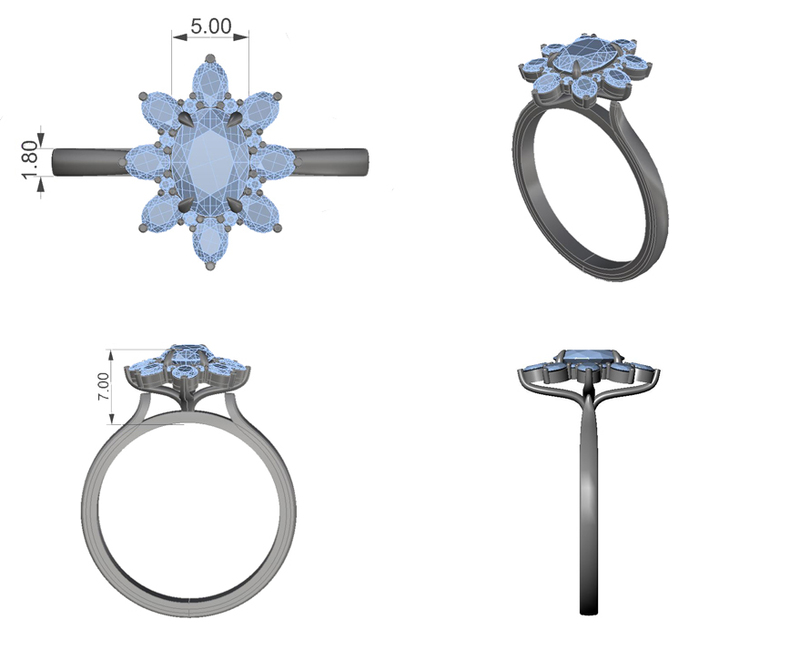 Depending on the design; Efrat Will provide you with sketches or a 3D realistic rendering this will allow you to see your ring from all angles before it’s created and help you visualize before you make your final commitment to design. At this point, you can make adjustments to the design or, if it’s perfect, move onto the next step. You will be able to see your piece from all angles, including the measurements of your upcoming custom piece. 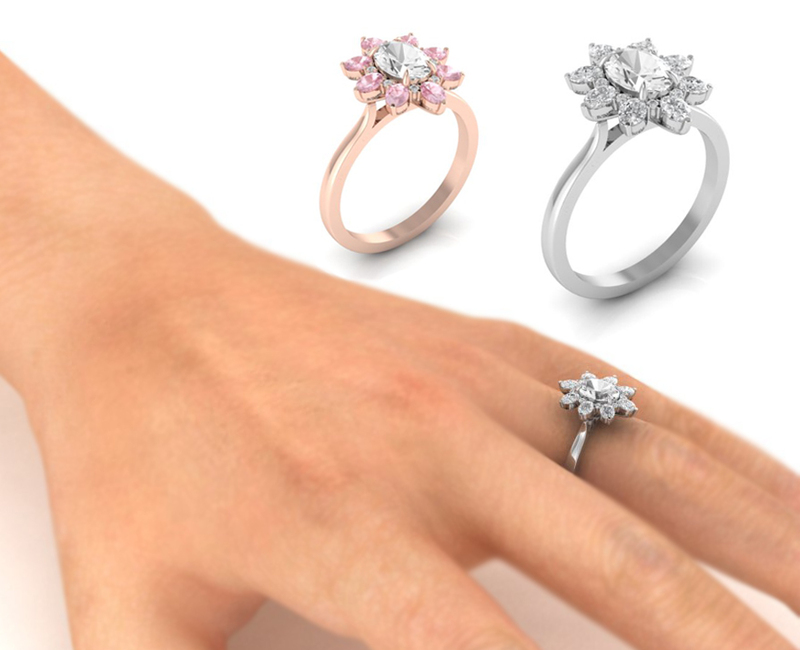 You will be able to see the final design with a photo-realistic 3D rendering and visualize the ring dimension on the finger. 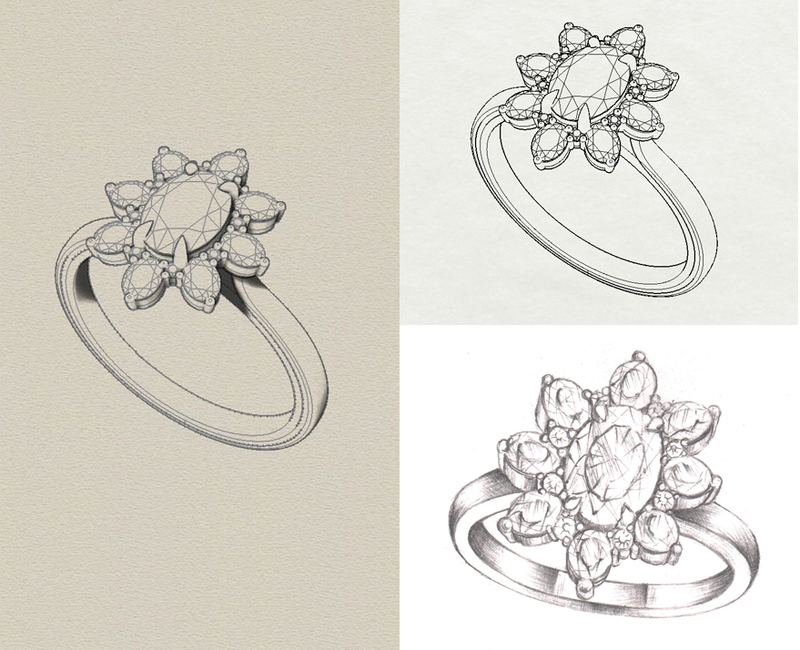 We look Forward to design your special one of a kind piece!